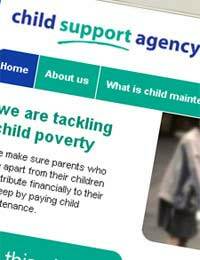 Legislation such as the Family Law Act (1975) and the Child Support (Assessment) Act (1989) outline the basic principle that children of divorced parents are entitled to “maintenance” particularly through child support. In both acts, it is made clear that a child eligible for such support must be under the age of 18 years (i.e. a child in the legal sense). First it is important to also consider that when referring to “adult children”, we are looking particularly at the 18-24 age bracket, which Australian law acknowledges to still be somewhat dependant on parental support in certain cases. These are the transition years in modern society where a teenagers attempts to establish themselves in society as an adult and thus it is understandable that in most cases one would encounter hardships along the way. Therefore it does make sense that legally there should be entitlement to some support from parents for those ‘Adult children’ who can demonstrate potential struggle; whether it is financial or personal related. There is an understandable misconception in Australian law that child maintenance ends when the child legally becomes an adult, that is, at 18 years of age – however this is not entirely true for all scenarios. The law acknowledges that ‘adult children’ can be in a phase where they are unemployed and instead in the pursuit of tertiary education, whether it be through TAFE or university. In such cases it would be difficult for that young adult to be labelled as “financially independent” for his or her parents as there is reliance on some sort of external support. The Australian government makes this clear through such schemes as Youth Allowance (established on 1st July 1998) which is a support payment made to those under 25 years of age. The Youth allowance scheme is significant when addressing the issue adult child maintenance particularly because it addresses the issue of the parental means test which is basically an assessment of the parent’s financial state in order to determine whether government assistance is necessary for the child. These clearly indicate that despite the person being over the age of 18, the government does not necessarily view them as “independent” as it assesses their parent’s financial situation to determine the payments they are entitled to. An assumption is therefore raised by the application of the parental means test which is that if parents are financially able, they would support their ‘adult child’. As expected, this assumption of parental obligation does not always hold, particularly when there are cases of family disputes and separation. The undertaking of higher education (As addressed at 1(a)). Mental/physical disability (as addressed at 1(b)). Under these two categories a court may enforce a child maintenance order (S64B, ss 5) where financial support must be given to that person despite being older than 18 years. Other than these reasons, the court is instructed not to enforce any parental maintenance for people over the age of 18.